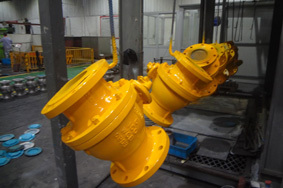 In recent years, China valve industry will bring new development opportunities for sustainable growth due to be constantly deepened by the good investment environment .As long as enterprises can seize opportunities, strengthen the ability of research and development, constantly improve product quality, they will be able to occupy the initiative position in the broad market competition.Analysts from the relevant industry pointed out : Although domestic valve industry had an upbeat prospect, there were also some unfavorable factors. 1. Iron and steel as the raw material of the valve industry are badly in need of transformation on the day when the environment stress gradually increase. Iron and steel industry will face a risk in reduction of output,which will result in the rise of steel price in the short run, lead to an increase in the cost of valve industry, and cause short-run price fluctuation of valve industry. Therefore, the valve industry will also be influenced greatly. 2. 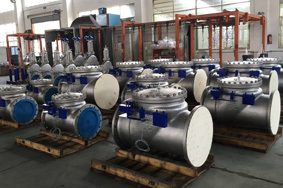 Recently, China valve industry have developed rapidly, not only a great improvement in the production level of valves but also a sharp increase in its yield. But what is the more awkward is that there is the largest growth of small and medium as well as private valve enterprises in this process while there is few large valve enterprises, not strong brand of the domestic valve industry, and poor market competitiveness. From the current development situation of the valve industry, the valve industry itself also faced a risk in backward productivity. 3. under the influence of the financial crisis, the market is a sharp contraction in terms of the iron and steel, building and upstream-downstream industries,which is no doubt that it is a fatal blow for the valve industry which develops depending on these industries. Although the financial crisis,to a certain extent, had a negative impact on China valve industry,it aslo makes the internal drawbacks on the industry exposed to none. 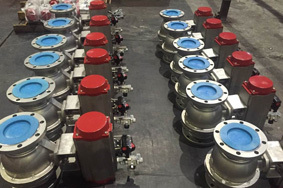 In order to have a long-term development,China valve industry must adjust and improve industrial structure, both continue to give full play to the advantages of traditional valve industry, and develop technology-intensive industries and emerging industries to promote the upgrading of the valve industry. Only in this way can the gap between Chinese valve industry and the developed countries be shorten as soon as possible .